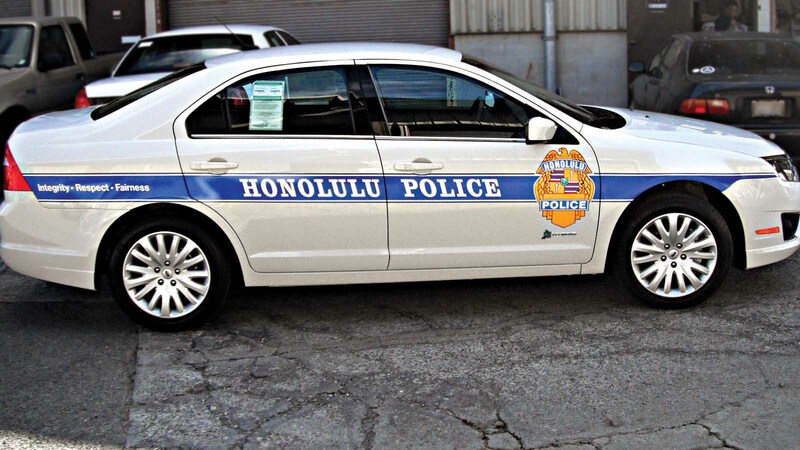 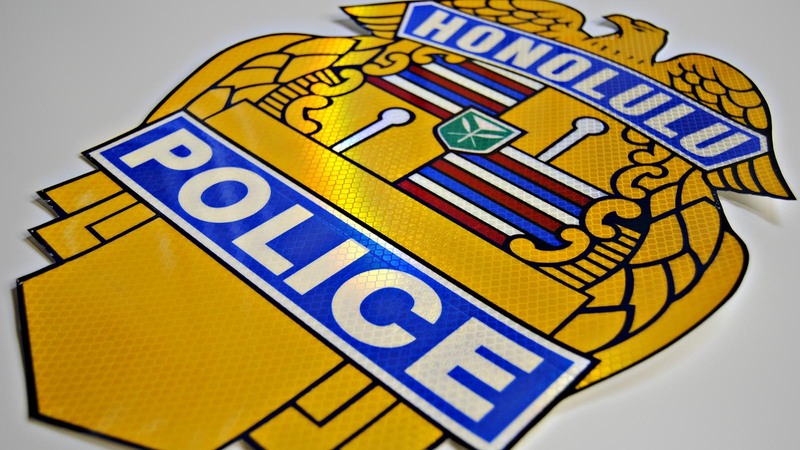 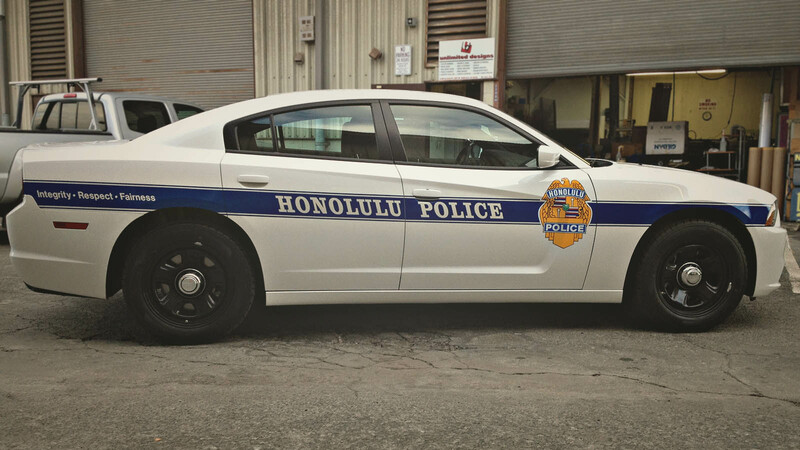 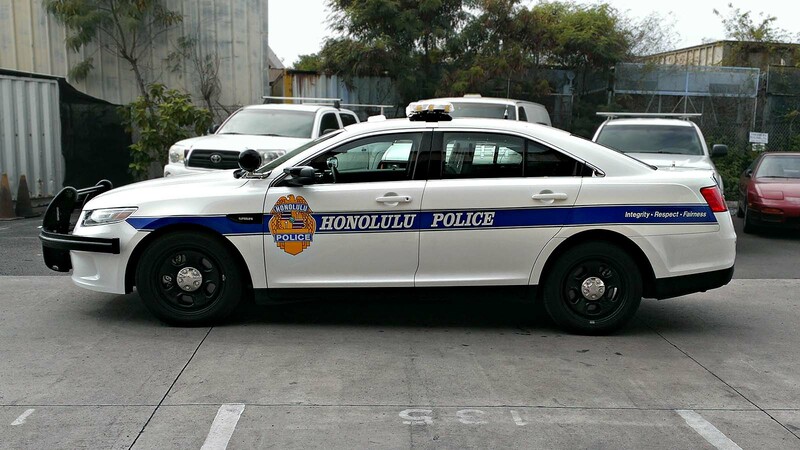 Our work with the Honolulu Police Department has spanned over many years. 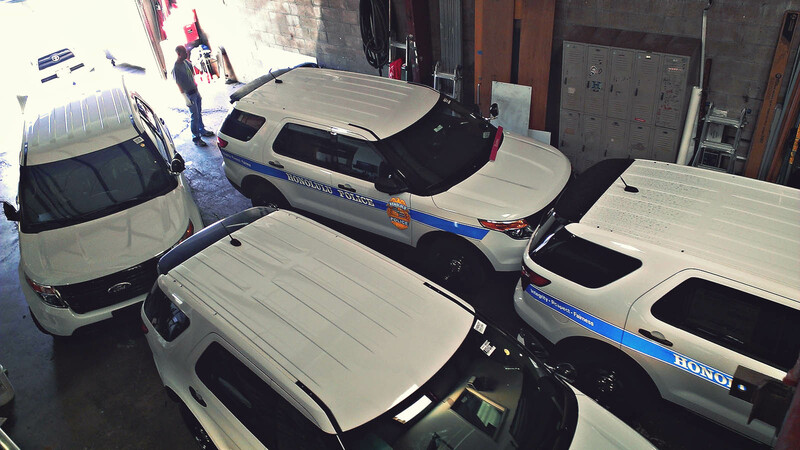 We’ve installed graphics on nearly every type of vehicle HPD uses from their police cruisers to their Police Activities League vans and everything in between. 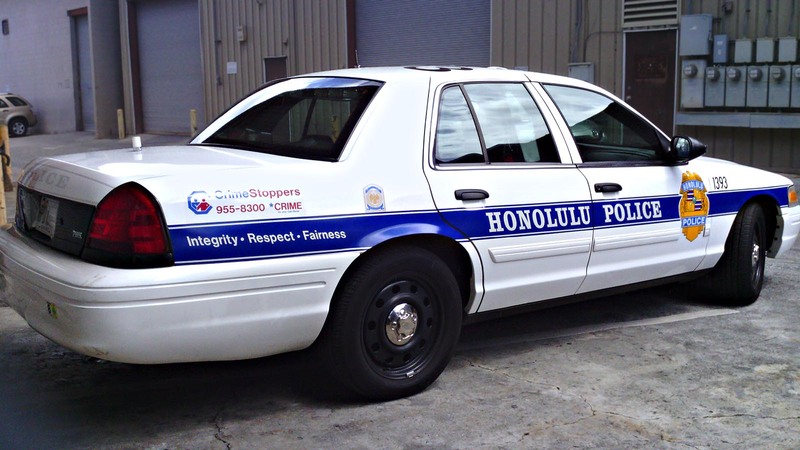 These high visibility vehicles require the use of highly reflective and durable materials, so we use 3M® vinyls and inks to produce all of the graphics for HPD.